Welcome to Alternative Health and Chiropractic! Dr. Jonathan Eric Nance and staff are accepting new patients at our office and practice location located at 4902 Fayetteville Road. We are available for appointments, preventative care, chiropractic care as well as ongoing patient care. 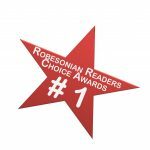 Voted Number 1 in the Robesonian Readers Choice Awards 4 years in a row. Dr. Nance offers highly personalized care. He’ll review your health history and perform a thorough examination. This may include reflex testing, your ability to stand and bend, and other standard orthopedic, neurological and chiropractic tests. If necessary, x-rays of your spine may be taken. Dr. Nance will study the results of these examinations. He’ll explain exactly what they mean. Then he will recommend a care program designed for your unique health problem. This may include acupressure, acupuncture and chiropractic care. is to help release the true potential of your body. Through chiropractic, our goal is to assist in the balance of all three areas. True health is not the absence of signs of symptoms. True health is the balance of the physical, chemical and emotional. The balance of these areas lead to true wellness. Chiropractic adjustments aid in the restoration of health and wellness.